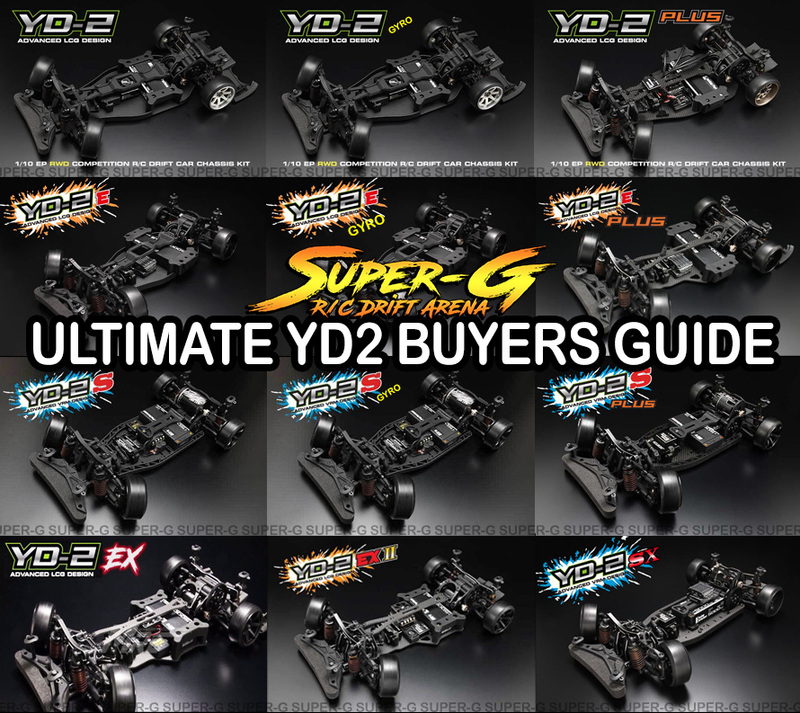 A lot of people have asked about which YD2 they should purchase and why? 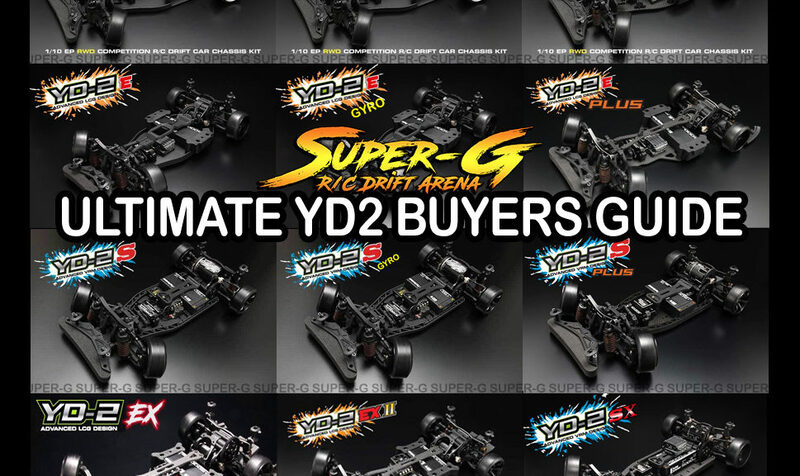 With Yokomo releasing over 14 variations, it can get quite confusing! Especially if you are not certain of what is the same and compatible. 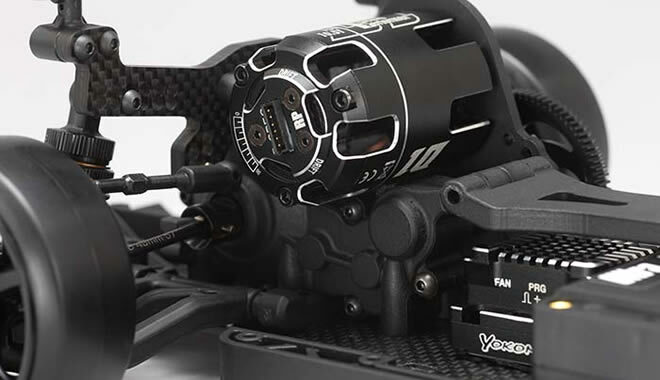 In a nutshell, the original YD2 series featured the regular length front A-Arms and standard low mounting motor plate. As for the new YD2-E Series, it features the newer revised front end which are low scrub and slight changes like reduced rear toe. The E-Series pretty much replaced the original YD2 series, but they’re very similar. The E Series features LCG (lower center gravity). The S-Series features the greatest change. They all come with the laydown 4 gear transmission, updated lower arms and reduced toe. 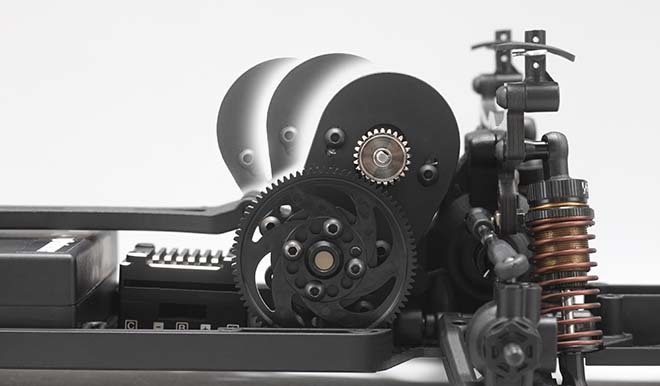 This new transmission puts the motor on top. This new configuration really makes the S-Series a high traction setup. 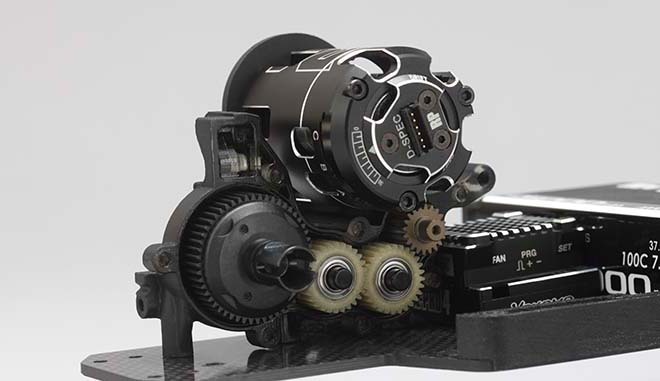 This VRM setup lets you position your motor 3 ways right out of the box. An upgraded motor mount is available for more positions. This S-Line stands for SPECIALIZED FOR SLIPPERY SURFACE. The lineup features a hybrid type chassis deck. It has plastic side guards and an optional carbon side plate covers. The entire S-Line can ONLY use shorty sized battery due to this design. The revised 4 gear lay down transmission also delivers extra traction. A lot of people at Super-G are rocking a YD2-S Line car. Almost 99% of all YD2’s at our track are running the S Series. 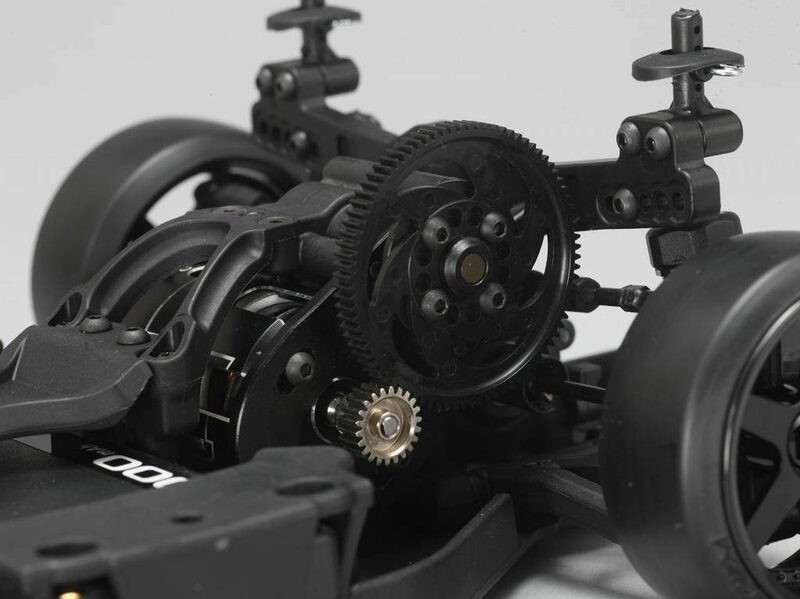 The higher traction chassis is definite a great choice! 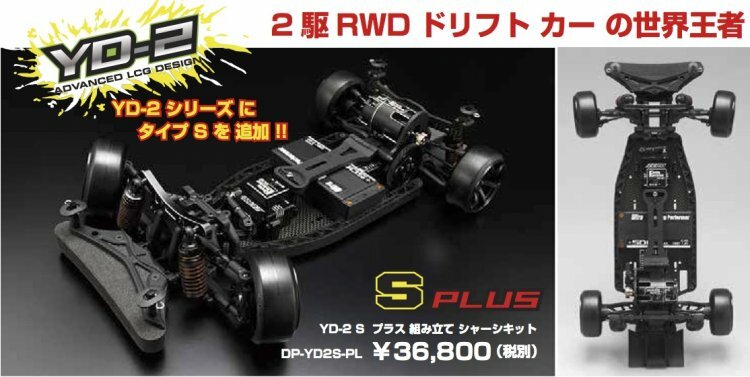 As usual, Yokomo features a few variations of each YD2 line. The basic model come as a kit. This is the “ALL PLASTIC/BASE” model. You can get into the car for cheap, but there are no upgrades besides turnbuckles. They offer a GYRO version(since most new chassis customers will require one), They always give you a slight price break when you get the Gyro Version vs buying it a la carte. 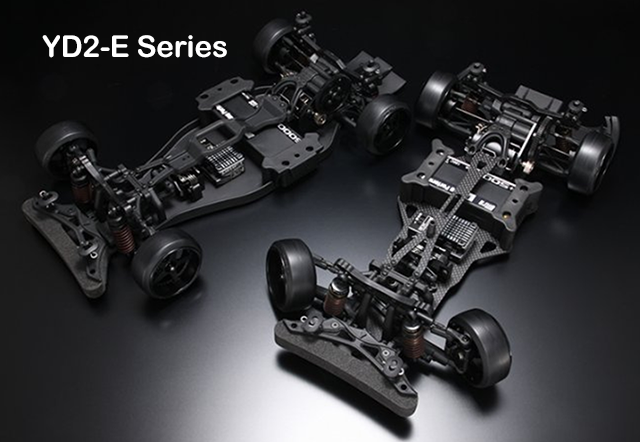 The savings does not just stop there, Yokomo also offers a “PLUS” Version of all their cars. 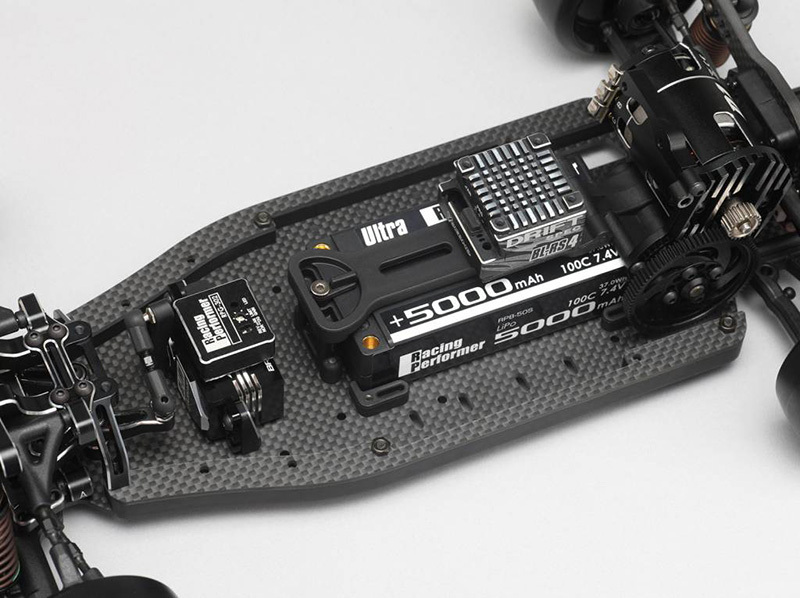 Although it doesn’t come with a Gyro, it comes with a few cool upgrades. The PLUS features upgraded SLF Big Bore shocks(Metal), Aluminum Front Shock Tower, Carbon Rear Shock Tower, and Carbon Fiber Lower Deck. Now that you see the math, you’ll see why picking a higher tier car is worth while if you can swing it. We’ve recommended people saving a little longer just to move up to the next tier. The YD2SX is definitely the top choice pick. You save a HUGE amount of money in the long run. Everybody ends up upgrading almost everything over time, the YD2-SX comes almost 90% hopped up. There are almost limited edition and special editions which feature various hopups at a savings. These have limited production and are not readily available once they’re sold out. If you start with a YD2S and upgrade piece by piece, you will save $82 when you reach the YD2S Plug Level and $264.60 by the time you reach a YD2-SX Level if you had purchased a YD2SX from the beginning. If you start with a YD2S-Plus and upgrade piece by piece, you will save $182.60 when you reach the YD2SX Level had you purchased a YD2SX from the beginning.